Researchers at The Institute of Photonic Sciences (ICFO) have demonstrated a new technique for the coherent detection of radio frequency magnetic fields using an atomic magnetometer. They used highly sensitive, nondestructive measurements to entangle the atoms while maintaining their collective coherence, and a new technique to allow the coherent buildup of signal from arbitrarily shaped waveforms. In this study, the authors used two techniques to improve their measurement. First, they used stroboscopic quantum non-demolition measurements to prepare an entangled atomic spin state at the start of the detection sequence. This allowed them to reduce the quantum noise coming from the atoms, and improve the sensitivity of the magnetometer beyond the standard quantum limit. 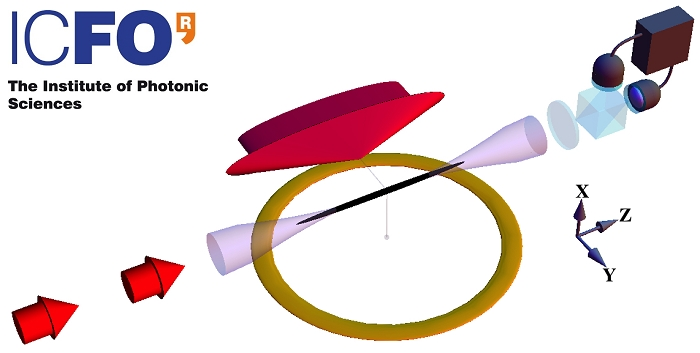 The researchers demonstrated their technique by detecting a linearly chirped RF field with sensitivity beyond the standard quantum limit. They were able to measure the weak RF magnetic field signal with a 25 percent reduction in experimental noise due to the quantum entanglement of the atoms, and a sensitivity comparable to the best RF magnetometers used to date.